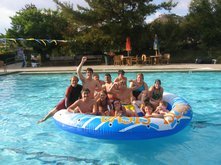 St. Madeleine Sophie’s Center Aquatics Program offers quality classes, year-round, to our SMSC students. 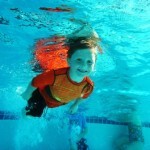 Swimming is an enjoyable social and/or recreational experience that also provides a broad spectrum of health benefits. 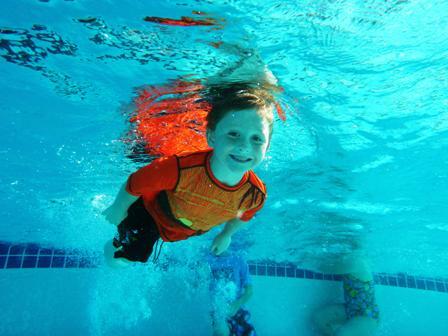 Swimming promotes cardiovascular and respiratory fitness, range of motion, coordination, balance, flexibility and fun! 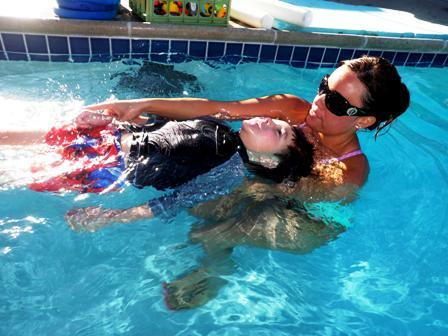 We offer adaptive swim team training for adults and children with special needs. 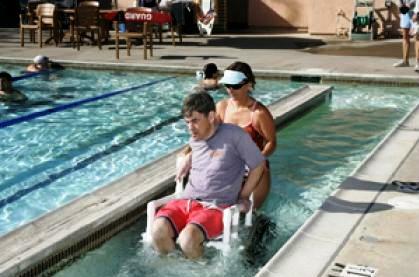 Adaptive swim team training for swimmers who want to train and compete. Our own SMSC Triton’s Swim Team (ages 8 – 75) competes in a variety of local swim meets. The cost is $200.00 per year. Rent our beautiful, warm water, garden setting pool by the hour. 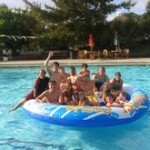 Perfect for birthday parties, receptions, staff parties, aquatic getaways or just for fun. For more information, contact our Event Coordinator at 619- 442-5129 ext. 115.